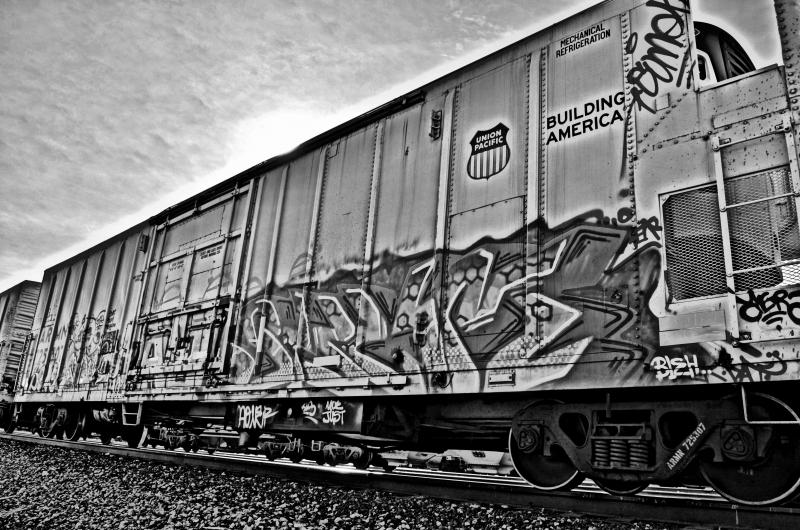 Black and white with an HDR effect shot of a train car with graffiti. The sun was just out of site on top of the car. this was a Really fun shot.